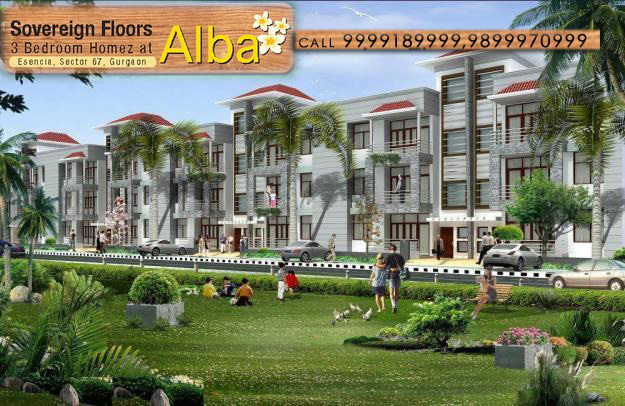 Ansal Esencia Sovereign Floor:Ansal Api is launching esencia alba floors phase II. One of the best residential Location Sector 67 with Air-Conditioning and Modular Kitchen, in affordable prices. The objective of Ansal API is to create energy efficient, water efficient, comfortable, healthy and environmentally friendly buildings and homes. Born out of this strong desire for eco-friendly and environmentally sustainable living, the Esencia community offers you well designed homes with the very best of amenities. The Esencia township has been registered as the pilot project for rating under GRIHA* (Green Rating for Integrated Habitat Assessment), in India. Helping us in this endeavor is ADaRSH (Association for Development and Research of Sustainable Habitats), which is an independent, registered society constituted by the MNRE (Ministry of New and Renewable Energy) and TERI (The Energy & Resources Institute). It is responsible for the implementation of GRIHA across India as well related training and research and development activities to strengthen GRIHA technically as well as administratively.